I was reinvigorated by doctors Wright’s and Gordon’s September lectures in London, England. They reaffirmed old knowledge and brought to light new research in the exciting field of anti-aging medicine. For example, Dr. Garry Gordon starred with his energetic explanation of current chelation therapy both at the anti-aging conference and earlier in the week at the British Longevity Society. Indeed, Dr. Gordon invented chelation therapy in 1983, and during the last 28 years, he has personally taken one gram daily of the strong chelator EDTA. He further advocates the natural chelator garlic as a dietary supplement. Several times he suggested that advanced chelation would include such chelators as DMSA and DMPS. These last two are free sulfhydryl substances (symbol R-SH) that easily removed mercury and other heavy metals such as lead and cadmium by chemically attaching the R-SH group to electron-hungry heavy metals. The result is the formation of R-S-Hg complexes as in the case of mercury (Hg). These complexes are often water soluble and readily excreted in the urine or feces. Dr. Gordon further advocates consuming zeolites since these readily bind to these complexes for rapid elimination. Another choice of binding media is dietary fiber, found in a high dietary fiber diet (think vegetables) or a dietary supplement such as Beyond Fiber™. However, Dr. Gordon promotes and heavy advertizes his zeolite products as superior to other binding media. Without them, heavy metals are often reabsorbed into the body! Dr. Gordon told me several intriguing stories about his diagnoses and solving several severe medical problems using zeolites and the important mineral magnesium. In one story, Dr. Gordon saved the life of a cardiac patient scheduled for heart transplant merely by injecting the suffering man with a magnesium solution directly into the heart muscle. Many people are magnesium deficient often though poor diet. He (and I) recommend at least a gram daily of magnesium balanced by calcium. If digestive problems prevent this dose, transdermal magnesium lotion is the viable option. The conferences second speaker, Dr. Jonathan Wright shinned with brilliance when he explained his research group’s recent hypothyroidism discovery. To wit: A minority of hypothyroid patients is not helped by traditional thyroid meds, namely T3 and T4, since they are ‘thyroid resistant.’ This means that their thyroid receptors are not converting thyroxine (T4) to its most reactive form T3 (triiodothyronine). This resistance is blood-test measured by determining ‘reverse T3.’ Dr. Wright’s group reviewed over two thousand hypothyroid cases and discovered that 48.6% of patients showed substantial quantities of reversed T3. Later, when these suffering patients were chelated, reversed T3 subsided, and thyroid meds (often from desiccated pig thyroid glands) became effective in nearly all cases. During another stunning lecture, Dr. Wright announced that Alzheimer’s disease can now be prevented if one consumes prophylactically four substances daily, namely lithium, turmeric and the essential hormones, testosterone and estradiol. In a private discussion with Jonathan Wright, he gave me the correct maintenance doses for his revolutionary preventative treatment. One should daily consume only 20 mg lithium chloride or orotate. In those patients with signs of senility, one should employ up to 50 mg daily. Add to this two to three grams daily of turmeric (curcumin as used in curries) as enjoyed by Chinese and Indians for millennia in their cuisine to prevent inflammation and inflamaging. Lastly, one should correct for insufficient hormones, especially testosterone and estradiol (E2). Typically, older men need 50 to 100 mg daily of bioidentical testosterone cream or gel. Women need about 3 to 5 mg.
On the other hand, E2 should be suppressed in men with anti-aromatizers such as a chrysin spray. If not suppressed, some men eventually develop ‘gyno’ (gynecomastia or enlarged breasts) and enlarged prostate glands that may lead to urinary problems and cancer. (Enlarged prostate or BPH is resolved by thrice daily use of 30 mg lycopene, 30 mg zinc, 2 mg copper, and 300 mg gamma linolenic acid.) Chrysin is sprayed into the nose four times daily, and there is also the drug Arimidex® although it can have substantial side effects in some people. Women are often lacking estradiol especially during their forties when ovulation ceases or in their early fifties when menopause commences. During these dramatic changes in aging, women’s E2 often falls to between 30 and 50. These values are dramatically lower than the typical E2 cycling seen in young women varying between 60 and 180 during their 28-day cycles. Correcting back to these higher values insures aging women with a new lease on life and renewed mental and physical energies that protect against Alzheimer’s as well as wrinkling of the skin. E2-deficient women may be viewed by walking through any shopping mall and observing older women with vertical wrinkles on their upper lips. In general, wrinkling is indicative of lack of anabolic hormones and dietary protein since as women age; endocrine glands shrink and become sluggish with mercury and nutrient malabsorption. Correcting back to these higher values insures aging women with a new lease on life and renewed mental and physical energies that protect against Alzheimer’s as well as wrinkling of the skin. E2-deficient women may be viewed by walking through any shopping mall and observing older women with vertical wrinkles on their upper lips. In general, wrinkling is indicative of lack of anabolic hormones and dietary protein since as women age; endocrine glands shrink and become sluggish with mercury and nutrient malabsorption. This condition is totally correctable without cosmetic surgery or cosmetic creams. Second, E2 therapy always employs simultaneous correcting of the hormones, estriol and progesterone. These two complement E2 replacement as women age. Lastly, Dr. Wright made an important observation: Sufficient E2 and HGH decrease free cortisol in women; thereby remedying excessive visceral fat. (Cohen, P.G., Med. Hypotheses, 2005; 65(4), p. 819. Surely the same reduction in cortisol in middle-age men should also reduce visceral fat? Dr. Wright reminded everyone repeatedly that only natural or bioidentical hormones should be used. Physicians should copy nature and not slavishly prescribe the latest patented medication offered by the pharmaceutical industry (Big Pharma). Big Pharma’s synthetic hormones such as the ‘progestins’ and pregnant-mare hormones (space alien or equestrian substances) often lead to serious side effects, especially cancer and heart disease since they substitute and block nature’s own natural hormones such as progesterone and E2. Dr. Wright stressed the importance of the hormone estriol or E3 for women’s health. E3 is critical to balancing the unwanted side effects of excessive E2, especially in estrogen dominant women. E3 reduces incidence of breast cancer by 53% when used in adequate amounts that are generated endogenously by a woman’s ovaries or applied daily and subcutaneously in a cream form. In controlled studies, this finding is further supported by histological evaluation of the endometrium. E3 shows the most significant anti-carcinogenic activity in breast tissue compared to all other substances. As demonstrated by Dr. Henry Lemon, the concentration of E3 should optimally exceed the combined concentrations of E2 and E1 (estrone) for preventing breast cancer. Dr. Wright explained estrogen metabolites both beneficial and harmful. The harmful ones include carcinogens such as 16 alpha hydroxyestrone and 4-hydroxyestrone. However, the former is needed in humans for proper bone density health, and thus, it’s a double edge sword. In other words, we need 16 alpha hydroxyestrone for bone density but later in life, it may contribute to cancer if it is excessive. Nature can be bewildering! Beneficial estrogens include the 2-hydroxyestrone. Low amounts of this hormone relative to 16 alpha hydroxyestrone (referred to as the 2/16 ratio) may contribute to prolific thyroid disease (Otolaryng. Head and Neck Surg. 2006 Jun; 134 (6), pp. 893-900). Dr. Wright further explained prevention using the 2/16 ratio: That is to say, exercise, brassica vegetables (broccoli), and omega 3 fatty acid all contribute to a high 2/16 ratio and lower incidence of cancer. Second, supplements such as DIM (diindolylmethane) and I3C (indole-3-carbinol) contribute significantly to reduce tumor growth, apoptosis of cancer cells, and reduced cell adhesion and cell spreading in humans. These two work especially against the most active of all natural carcinogens, namely the 4 hydroxyestrone. Most people serious about anti-aging medicine consume either one or both DIM or I3C twice daily in addition to eating foods rich in them and omega 3s. A serious anti-aging program would include one or both several times daily. As a further preventative measure, Dr. Wright suggests daily ingesting various methylating substances such as 5-adenosylmethionine (SAMe), methylsulfonylmethane (MSM), betaine (betaine hydrochloride), 5-methyltetrahydrofolate, and methylcobalamine (a form of vitamin B12). These last two are routinely used by physicians practicing anti-aging medicine in addition to the potent metylator, trimethylglycine. These six methylating nutrients also help in preserving the integrity of DNA that suffers degradation during aging from loss of methyl groups. They also prevent stripping of estrogen of its methyl groups thereby making it more cell prolific. 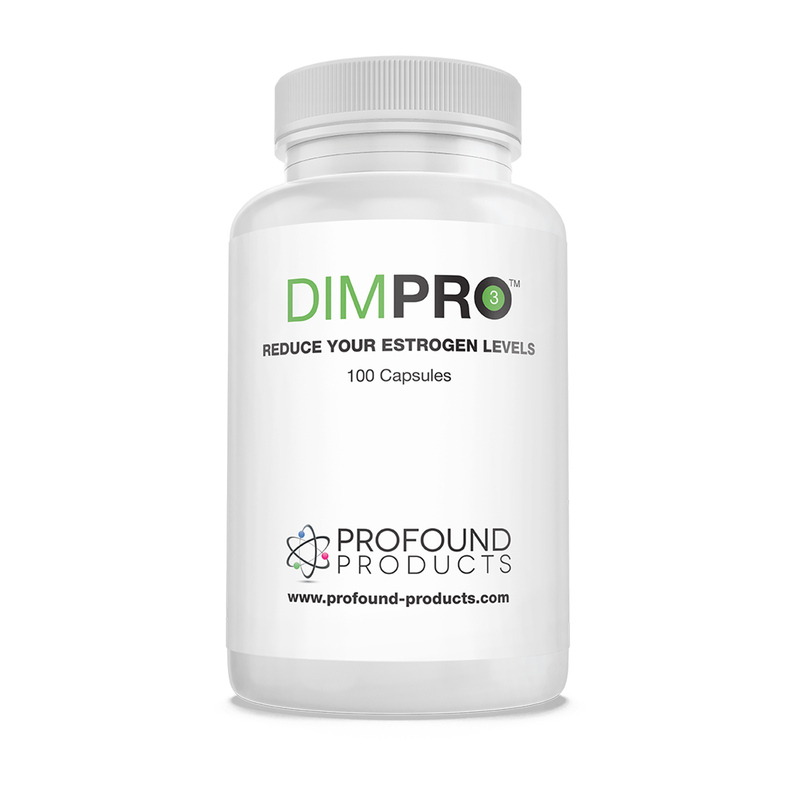 Progesterone is the most preventative of any hormone, and pregnant women produce in their ovocytes up to 800 mg daily. Thus, it is incredibly safe. Some of the many benefits include decreasing skin wrinkling, promoting thermogenesis, increasing a natural diuretic effect (throw away those diuretic drugs and teas!! ), boosting thyroid activity, stabilizing blood sugar, normalizing zinc and copper ratios, and promoting proper cell oxygen levels. No wonder women produce such prodigious amounts of this wunderkind natural remedy. Both of my sisters use 300 mg daily of progesterone cream on their arms. I use 30mg nightly perianally to prevent BPH and prostate cancer. Doctors Wright and Gordon do not use HGH replacement therapy themselves presumably due to its expense. However, Dr. Wright states that HGH may be “important to consider if HGH levels are below the ‘normal adult’ reference range.” This is an odd statement considering that nearly everyone over the age of fifty is significantly below the reference range of HGH and well as its extremely beneficial metabolite, the polypeptide IGF-1. These two substances are critical to any serious anti-aging program and anyone not using them must be kidding themselves. In Dr. Thierry Hertoghe’s new book, The Hormone Handbook, 2011, volume 2 (reference One), he lists over 300 references attesting to the benefits of IGF-1 for the diseases of aging. For example, IGF-1 supplemented in men over 70 eliminates the need for testosterone replacement since IGF-1 corrects for testosterone deficiencies and consequently, reverses memory loss in cognitively declining seniors. Also, I have observed that IGF-1 has a redundant effect upon many hormones. (The key hormone, pregnenolone, also is redundant and corrects for some hormone deficiencies!) IGF-1 combined with HGH and other anabolic hormones help to reverse skin wrinkling apparent in the faces and necks of the London conference’s senior doctors. These esteemed physicians would benefit enormously from all anabolic corrections, especially from E2, testosterone, DHEA, thyroid, HGH, and IGF-1. Anabolic correction therapy is hallmarked by hyperthermia. Thus, during a cool fall day in London, I dressed lightly with only a shirt and tie – much to the amazement of my more observant colleagues. They and I also observed that many senior physicians appeared chronologically, and surprisingly, biologically in their seventies despite their considerable knowledge of anti-aging medicine. This anomaly can only be accounted by their refusal to use anabolics such as HGH and IGF-1 as advocated by the decade’s younger (biologically speaking) researchers Lippman and Hertoghe. Specifically, 75-year-old speaker at the conference had the most severe deficiency of HGH/IGF-1 at the conference. Physically, he appeared on stage with deep furrows in his neck and face and arthritic hands as he lectured about his chosen subject, surprisingly growth hormone! Strangely, when queried about HGH, he replied that he did not use it himself and gave no further explanation. These older physicians could reverse their aging and regenerate their bodies substantially if they spent the time and money to inject HGH/IGF-1 twice daily supported by other hormone and nutrient corrections. Several critical goals of anti-aging medicine are attaining a lean and firm body, and nimble and focused mind as one experienced during one’s twenties and thirties. These goals are achievable to everyone who corrects with natural, bioidentical hormones in physiologic quantities, especially correcting anabolics such as HGH and IGF-1. It’s high time to get the lead out (Dr. Gordon’s chelation therapies) and jump on the band wagon of youthful bodies and vigorous minds. My colleagues and I over the age of fifty advocate lighting-sharp minds and athletic bodies that allow one to dance to the wee hours of the morning without fatigue or adroitly debate young people while maintaining a sharp and focused wit. Agile bodies and highly cognitive, rapidly thinking brains are available to everyone committed to anti-aging medicine. The London antiaging conference was a delight to attend. Not only did it present some cutting-edge information from leaders in the field, but it also did so in a comfortable, pleasant environment. The way in which the breaks were conducted and the quality of the gala dinner event, complete with top draw entertainment from Opera singers was a recognition of the standards to which the organizers, Heather Bird and Maria Somers adhere to. In my book, the London Antiaging Conference is a most worthy event that I would recommend to others to go and see for themselves.